Lindberg Pit Nitrider. 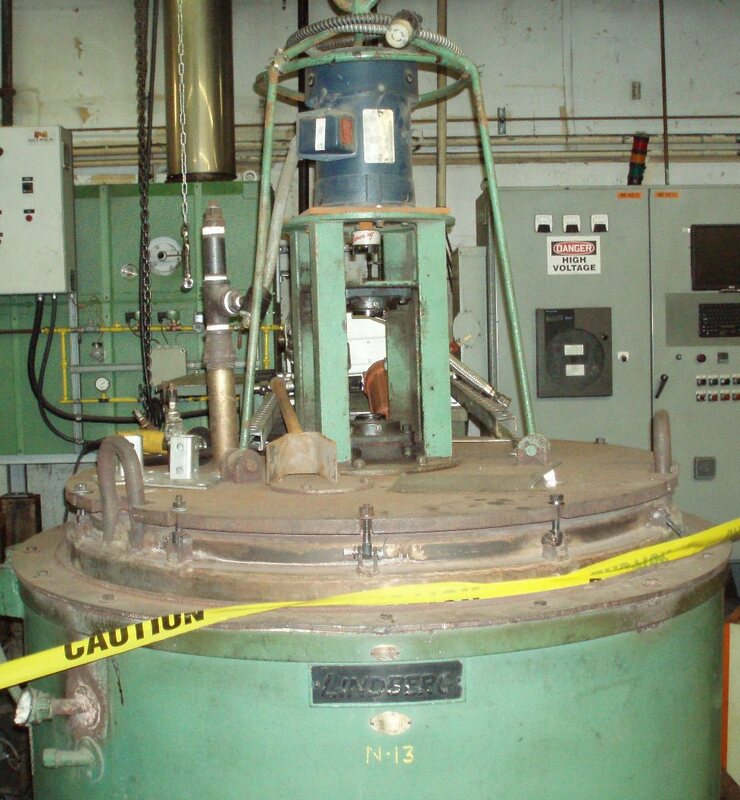 Lindberg Cyclone “Pit Nitriding” furnace with removable fan assembly & retort. There are twelve (12) bolt locks which seal the fan assembly to the gasket on the retort. Fan assembly sets on a steel stand when not in use. Alloy retort sets sets in a steel support when not in use. 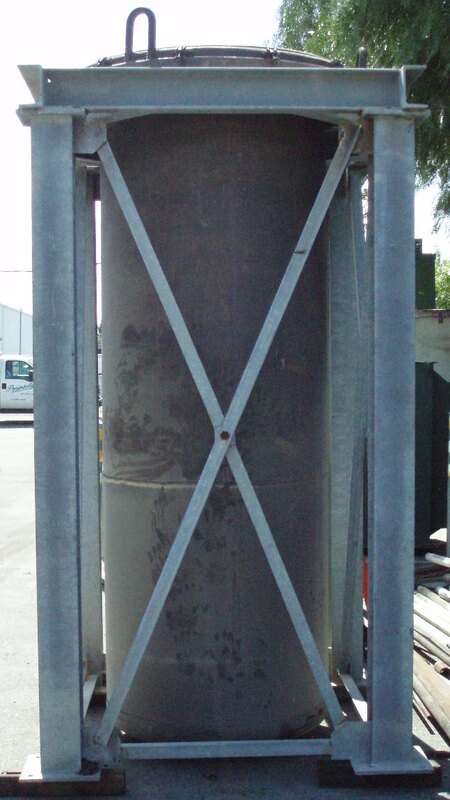 Electrically heated with a voltage of 230/3/60/105 kW. Model # 3896-E12 and serial # 14030. 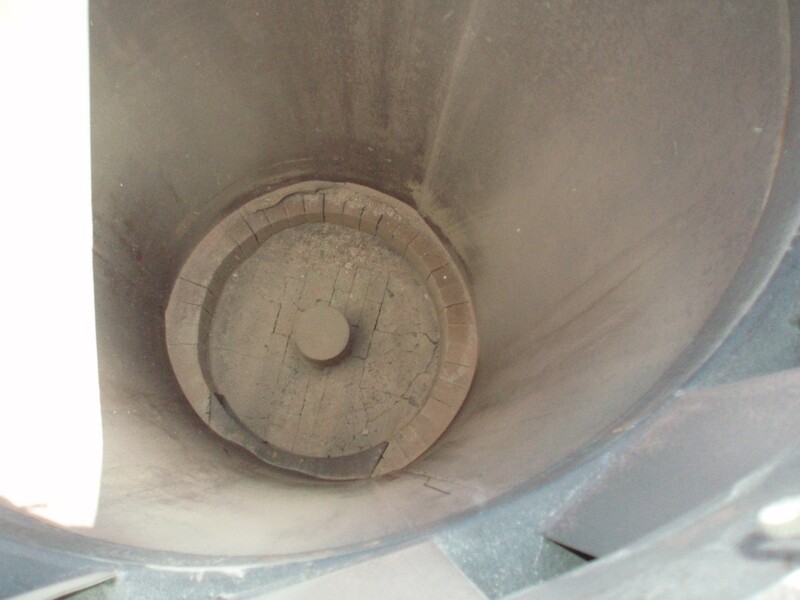 Max operating temperature is 1250°F. 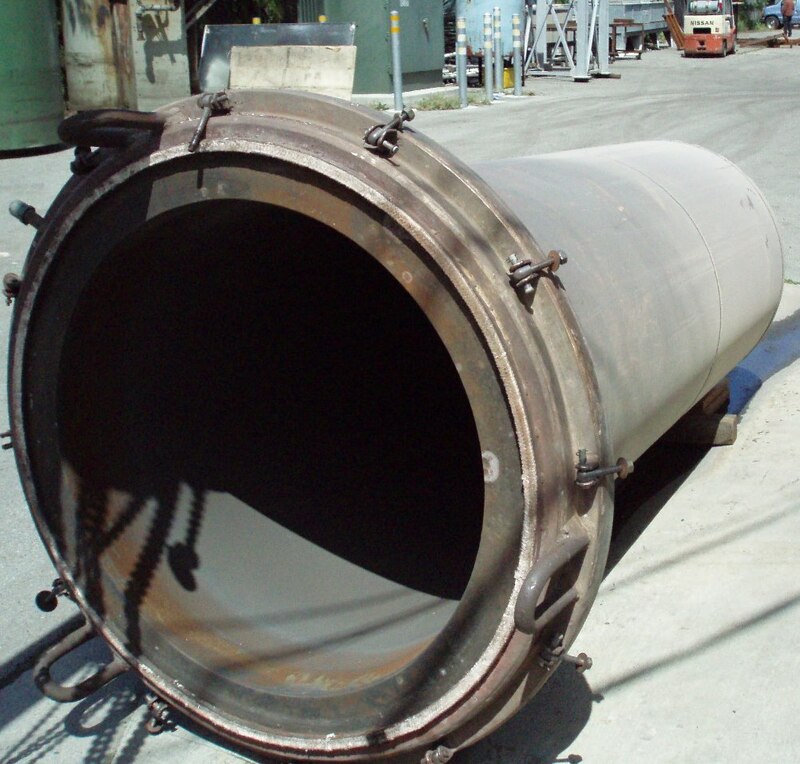 Working dimensions of 36″ diameter x 84″ deep with external dimensions of 5’w x 9’4″H x 7’l – Furnace Only. 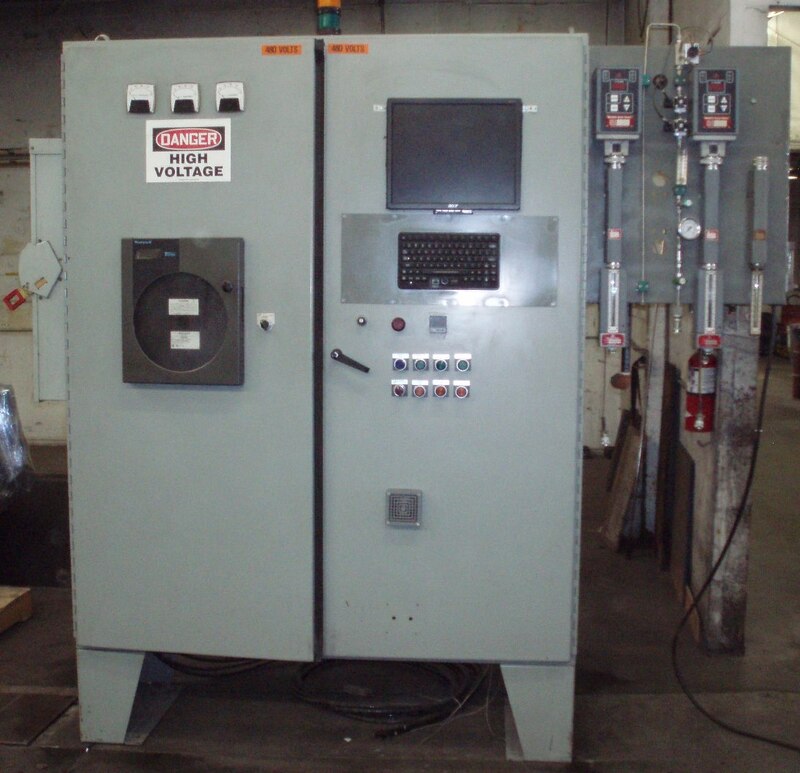 Controls mounted and wired in a free standing panel includes all necessary controls for proper operation.